Have you made the decision to sell your business? If yes, talk to the professionals. We are the experts and we are here to help, no matter where you are or why you want to sell. K-2 Partners provides mergers and acquisitions (M&A) services exclusively to the Document and Information Management (DIM) industry. The K-2 Partners team is made up of seasoned industry veterans. Collectively, we have over 175 years of senior management and hands-on DIM industry experience, and have participated in more than 200 buy, sell and equity joint venture transactions across five continents, ranging from some of the smallest to the largest deals ever undertaken in the industry. K-2 Partners is the first and most-experienced DIM industry-based M&A firm. We understand your business, we know the industry intimately and we closely track all relevant industry trends. We have senior-level contacts, we know what buyers are looking for and we know how best to position your business for a successful sale. Naturally, valuation multiples fluctuate depending on market conditions, timing, location, and prevailing trends. However, our experience shows that irrespective of the actual multiple, sole-sourced transactions (when a buyer approaches the seller directly) typically result in prices that are 25% to 40% lower than if the business had been professionally and competitively marketed concurrently to multiple buyers. The key to not only achieving a truly great valuation, but more importantly, actually completing a successful sale, lies in being fully in charge of the process, rather than letting random buyers take control. The business must be presented in the best possible light and then proactively marketed to multiple potential buyers simultaneously in an auction environment, rather than waiting for that elusive ‘great offer’. Most importantly, the whole deal process needs to be carefully managed and concluded in a timely fashion, or the risk of the deal falling apart increases greatly. That is a big task for an owner/operator, given that they also have a day-to-day business to run. And finally, let’s not forget that the industry aggregators are highly skilled serial buyers that have completed many deals. As such, they have an unfair advantage over the independent business operator. 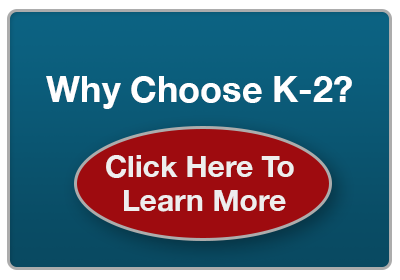 With K-2 Partners representing you, you will not only level the playing field, but actually tip the scales back in your favor. Contact us for an exclusive market update and a confidential, obligation-free evaluation.